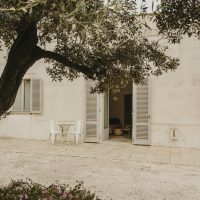 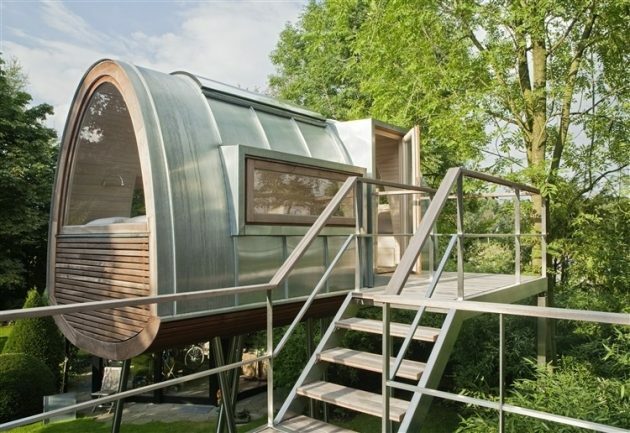 The King of the Frogs treehouse project is a compact 92 square foot treehouse that offers a tiny getaway castle with enough room for resting and daydreaming. 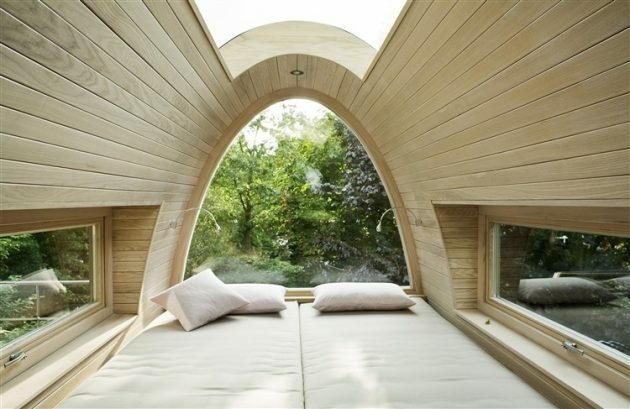 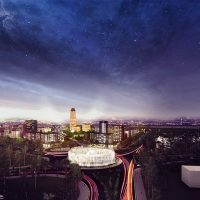 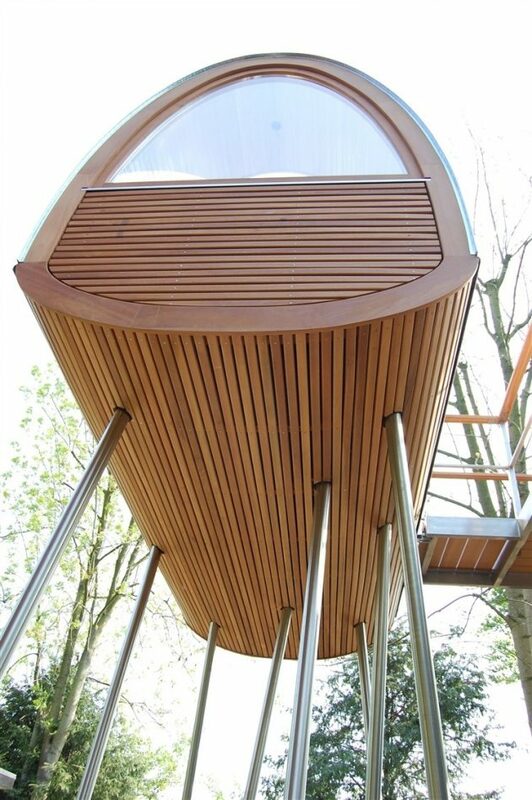 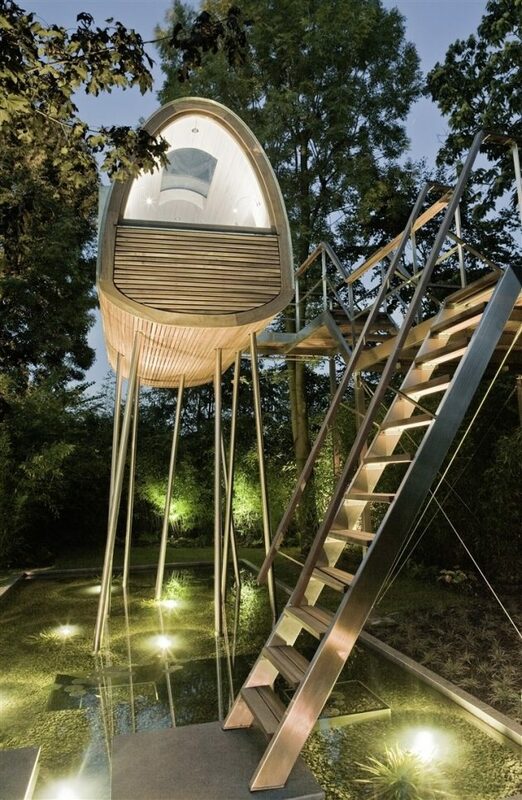 Although it technically is not a treehouse because it does not rely on trees for structural support, it was designed by Bremen-based studio Baumraum, a studio which is known for their designs of unique and unusual treehouses. 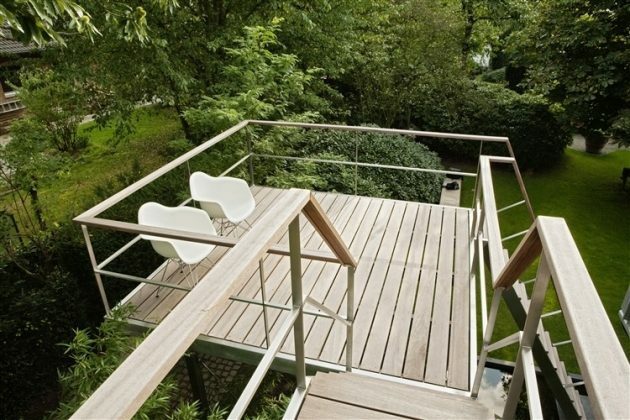 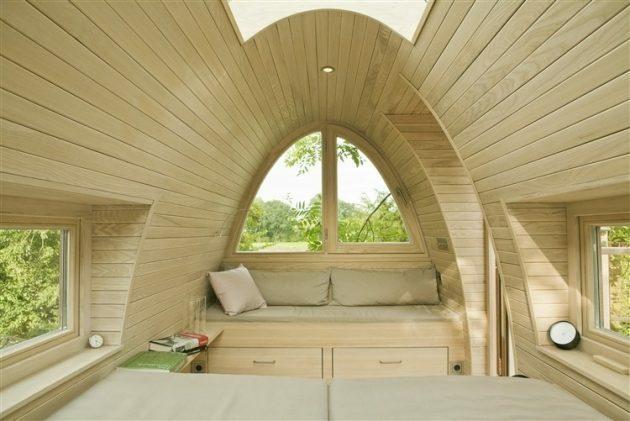 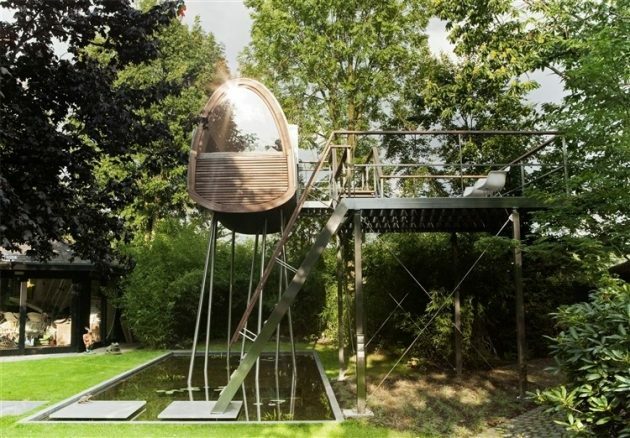 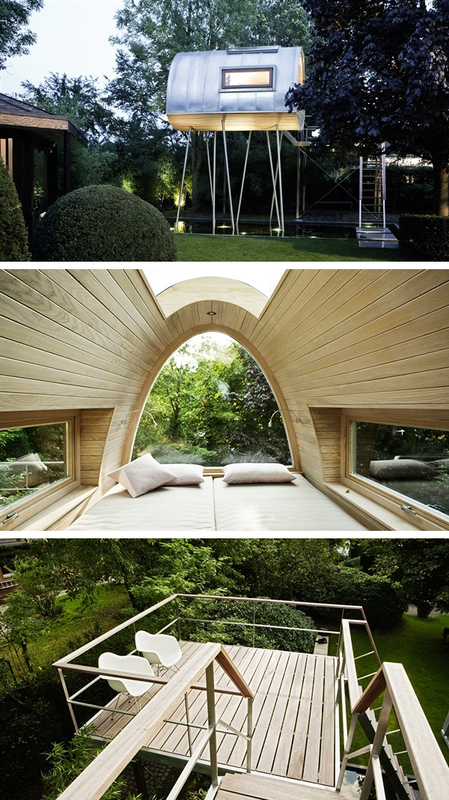 The King of the Frogs treehouse is located in a small private backyard in the city of Münster in Germany.